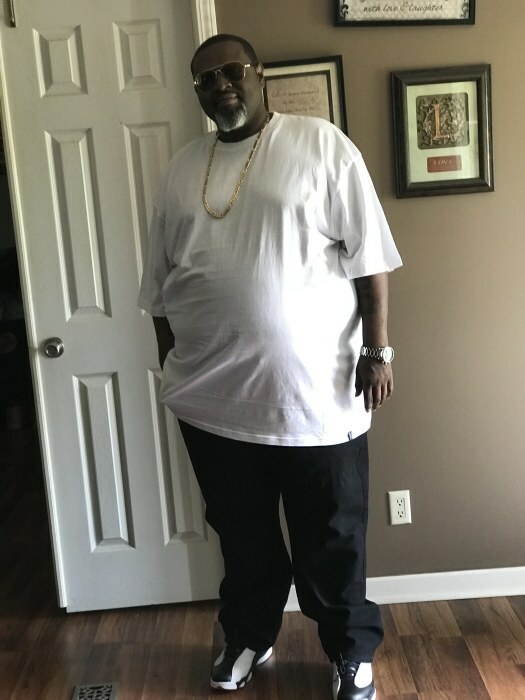 Donovan Keith Johnson, age 47 of 1480 Line Rd., Cameron, NC passed on Saturday, October 13, 2018 at Betsy Johnson Hospital, Dunn, North Carolina to Courtney Johnson and the late James McNeil. person. He never met a stranger. He was a guy with a heart as big as he was. He was everyone’s best friend. He touched everyone he came in contact with. In other words, he was a gentle giant. He attended Body of Christ Outreach Ministry and graduated from Lee County Sr. High School in 1990. Keith was a great father, husband, son and brother. He loved his children. From the oldest to the youngest, all of them were his babies. He was preceded in death by his father, James McNeil; maternal grandparents, Mr. and Mrs. Major Johnson; and paternal grandmother, Ms. Zelda McNeil. He leaves to cherish his memories his wife, Melissia Johnson; four daughters, Keitara(KiKi), Donojah(NaNa), Alyssia Johnson all of the home and Vanessa Johnson of Sanford, NC; one son, D’avionn Johnson(Brittany)of Recruit Training Command, US Navy, Great Lakes, Illinois; two step-sons, Rasaahn Cox and Stacy Slade of Sanford, NC; mother, Courtney Johnson; one brother, Michael Johnson both of Sanford, NC; mother-in-law, Sheron Morgan of Cameron, NC;father-in-law, Russell McBride; three sisters-in-law, Renee McCutchen(Travis) of Winston Salem, NC, LaPhiffaney Morgan and Tonya Clemons(Darrik); brother-in-law, Tony Smith all of Sanford, NC; four aunts, Mellanie Ray, Joan Kinney, Corrinthia Ulliasz and Johnsie Johnson; four uncles, Julius Johnson, Darius Johnson, John McNeil, Bishop Larry Ray and a very special uncle, Calvin McNeil; a host of cousins, relatives and special friends.